Photo from City of La Vergne. Say what you will, but I have started noticing a strong pattern set by our city officials. They are taking the lead in making decisions that are often controversial, but must be addressed. We know last year they increased taxes by 50 cents because our infrastructure was failing, we did not have adequate police protection, had to find a way to pay for the fire contract approved by a 4-1 vote the year before, and had no money left in the reserve account. Increasing the tax was a very unpopular and sad, but necessary decision. Since then we’ve seen Nashville increase their tax rate by 53 cents. Smyrna* barely dodged a tax increase of their own by laying off 18 employees and not filling a dozen other positions through attrition. Personally I’d bet a buck-fifty they’ll increase their rate in the next budget year. The county mayor has already warned people to expect a county increase next year as well. The cities of Smyrna and Murfreesboro did get a jump on banning open burning, but the our city instituted that ban as well on Wednesday. What La Vergne did differently, however, is they also said no recreational burning – that means campfires and fire pits, folks. Because sparks can fly out of those types of burns just as easily as they can from a ditch burn. Calling city hall, we learned that you can still grill out using charcoal and gas, but that’s about it. When you do grill, make sure your grill is away from structures and on concrete or gravel if possible. Also have a bucket of water or hose nearby. The city also began talking about a ban on fireworks earlier this week, and then a passionate plea from resident Kim Chambliss at the workshop on Thursday night helped them see that there was public support behind this ban. After researching the legalities of a ban, the city attorney and city administrator determined that the city fire marshal and fire chief could issue the order. Both of these fire personnel apparently agreed strongly that a ban was vital with these terrible temperatures and dry conditions. At this time, we are the only municipality in Rutherford County to ban individual fireworks. Banning the selling of them I imagine would open a whole ‘nother can of worms. I say let them sell fireworks for people to buy and take to OTHER areas that did not ban them so we can earn some sales tax dollars. But hopefully they’ll take them somewhere that has had lots of rain to shoot them off… Florida? The good news in all of this is that last year, the Board shifted the money spent on fireworks at Old Timers Day to actually have fireworks on the 4th of July. And because the fire department can be on standby and supervise the professional fireworks display, the city is allowing the show to go on! 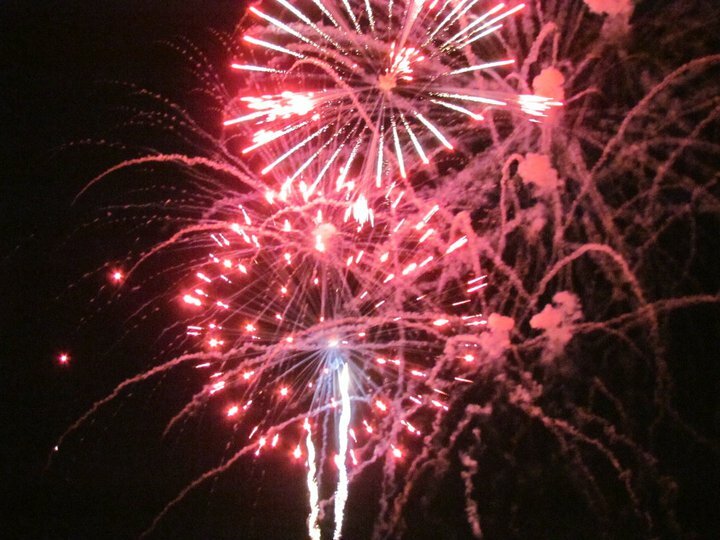 If you’re aching to see fireworks on Independence Day, just come on down to Veterans Memorial Park on Floyd Mayfield Drive and enjoy a free concert, watch the kids play, and buy some food from vendors who will be there to feed you. OR you can do as the name suggests and bring your own PICNIC IN THE PARK. The fireworks show will begin at dark – probably around 9 o’clock. The fun begins at 5 o’clock! *With the crazy amount of retail taxes they have coming in, how in the world is Smyrna not rolling in the money? I guess 400 v. 150 employees plus a thousand amazing parks plus 100 v. 22 firefighters answers that question. So much for the ban here, people are stupid as hell. Half the people on the three streets around me are crazy with fireworks, and the grass is so dry it crunches under your shoes; we’re a tenderbox ready to go up in flames. There were many law breakers in my neighborhood last night and I did not see a single police car. As a matter of fact, a friend of mine called and said that someone shooting fireworks set his back yard on fire. Thank goodness he was home and the garden hose was already hooked up and ready to go.